Sony’s Venom oozes into cinemas next Friday and so it’s time for a refresher course on a character whose image is as iconic as his previous adaptations have been botched. As far as the actual character goes, Venom is a little complicated. He’s part of an alien race called Symbiotes. These creatures are basically blobs of sticky goo that attach themselves to a host, granting powers to that host. The Venom symbiote initially attached itself to Peter Parker. When Peter separated from the symbiote, it attached to his photography rival Eddie Brock (Tom Hardy). The symbiote retained all the powers of Spider-Man and this is why, in most depictions, Venom has a massive white Spider-logo on his chest. 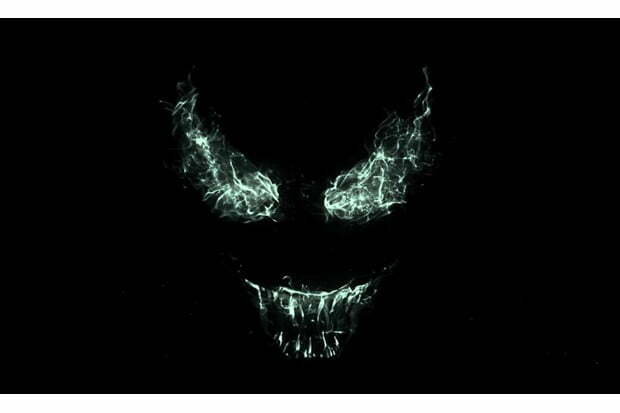 In the new movie, it doesn’t look like the symbiote has had anything to do with Peter Parker because the logo is absent. The explanation of the powers then seems to be… just because. Speaking of powers, Venom has a range of abilities that you would expect of a blob of sentient goo in the shape of a muscular morph-suit. It can shapeshift, increase in size and produce ‘webbing’. It can change colour and become invisible to mimic Brock’s clothing so once bonded, he’s always wearing it. Plus he gets the standard powers you expect from any comics character by this point. Superstrength, speed, endurance and the like. Oh, and there’s the enormous teeth and unsettlingly long tongue seen in the trailers. While originally a straight-up villain with a hatred for Peter Parker, Venom is more often depicted as an antihero nowadays. It looks like that’s how Sony is playing it at least. It’d be weird to have a PG-13 protagonist who just ate innocent people. Like most symbiotes, he is very vulnerable to sonic waves and fire. So there’s never been a comic where he goes to Burning Man festival. Or, indeed, listened to my mixtape. It’s confirmed we’ll be seeing at least one other symbiote in the film. Traditionally, most villainous symbiotes have been Venom’s ‘children’ (offshoots from the original blob). The most notable of these is Carnage, a far more powerful symbiote than Venom and, because Carnage bonded with serial killer Cletus Cassidy, far more deranged. Spider-Man writers love an alliterative name. Side note. For some reason, symbiotes children are always exponentially stronger than their parent. You know like how you’re more powerful than your dad? Because the trailers appear to be focusing on more B-list symbiotes like Riot, I doubt we’ll see much of Carnage in this movie. I’m willing to put money on him being a post-credits sequel tease. I mean who else is Woody Harrelson going to be playing? So there we go. You’re now all clued up on the black suited behemoth. You can now confidently roll down to the cinema next weekend. Roll to the cinema… like a turd in the wind.